3rd generation Master Maine Guide Jason Cross founded Smoking Rivers in 2008 to share his love for canoe tripping and to help carry on the renowned tradition of Maine canoe guiding. The son of two highly regarded canoe guides; it is fair to say that canoe is in his blood. From his first canoe trip at the early age of one year old, Jason has grown up in a canoe and on the water. Spending his youthful summers being a “camp boy”(building fires, fetching wood, etc.) for his parents working for a prominent canoe guiding company in the US getting the unique experience to work with some of the top canoe guides in the country. Enhancing his passion of canoe guiding at the early age of 13, Jason, received his first guide title of “assistant guide” Paddling and poling the canoe trips there after solo and running rescue and support as a “sweep paddler” and official paid staff of commercial canoe trips. Paddling guided canoe trips may have introduced Jason to Maine Guiding and the wonderful sport of canoeing, following yet another family tradition, Jason entered in to the sport of competitive whitewater downriver canoe racing at the age of 10. Enhancing his pursuit to fully understand rivers, currents, and whitewater he entered into more than a dozen races a year, including 7 national championship races throughout his carrier. Through his canoe guiding history and paddling family Jason found canoe racing a natural fit, winning or placing in the vast majority of races he entered. A passion and community he still enjoys today, racing, learning, and sharing knowledge of different lines among the paddling community. 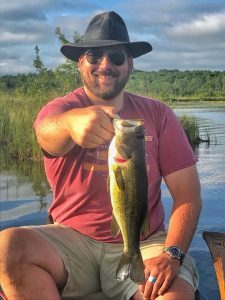 In college following in his father’s footsteps Jason began guiding canoe trips full time for the boy scouts of America at their northern high adventure base located in northern Maine. This opportunity allowed Jason to guide large groups of boy scouts on extended canoe trips throughout the northern rivers corridors of the Allagash and Penobscot water sheds. Along with providing excellent guiding experience and experience of these famous Maine Rivers, Jason’s role was to also educate these scouts on all aspects of canoe tripping. 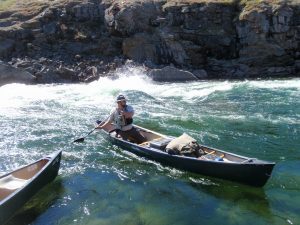 Giving him valuable years of teaching experience and working with youth, many of these practices he uses today to educate and bestow his canoeing knowledge to his clients. In 2008 deciding to venture back to his roots of the commercial canoe guiding Jason founded his own guiding company called Smoking Rivers named from a unique phenomenon that sometimes happens on the river due to the changing night temps causing a thick fog to develop on the rivers surface. Known by canoe guides for decades as “River Smoke” this fog became a unique feature for his clients and paddle through river smoke became a trademark experience only had on Jason’s trips, inspiring the name Smoking Rivers. While holding close to the heart and carrying on the tradition of being a Master Maine guide, exploring Maine and its wonderful rivers in its entirety, Jason, began to set Smoking Rivers sights on expanding and exploring new river to run guided canoe trips on. 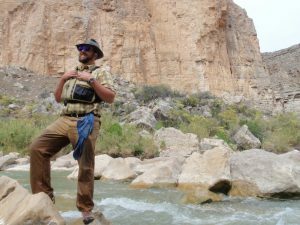 First in 2010, to expand into the American South West, Jason incorporated guiding trips on the Majestic and impressive Lower canyons of the Rio Grande then on to the beautiful and colorful historic San Juan Rivers to Smoking Rivers annual lineup. Jason then expanded into the north adding some of the most beautiful and enjoyable rivers in Canada to the line up the Bonaventure, and the Cascapédia Rivers. Ever growing in 2018, Jason, in the pursuit to offer a trip to his clients that no other outfitter or guiding operation offered, pioneered a canoeing expedition down the Soper River on Baffin Island in the Canadian Arctic. Setting the stage for Smoking River to be the only canoe guiding company to offer guided canoe trips in the Canadian Arctic of Baffin Islands. All along the way holding to the strict standards of excellence of being Master Maine Guides, Jason and his Smoking Rivers staff plan to continue to explore and expand their company to being the premier canoe guiding outfit in North America. Today clients can find Jason doing everything from answering the phones, to guiding their trips, to helping to create memorable experiences for all of Smoking Rivers clients.